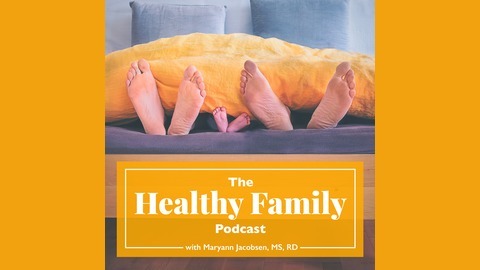 The Healthy Family Podcast provides you with the tools and information you need to “parent for health” in the 21st century. Even when that means you have to parent yourself to health first. 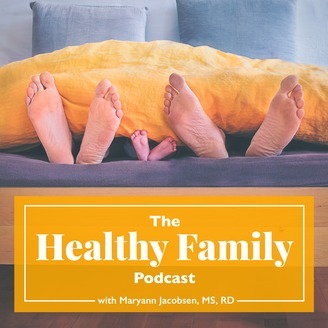 Each episode arms you with credible information, expert advice, and modern-day parenting practices for creating a healthy family. Feeding advice is everywhere. Eat together. Check. Expose children to nutritious foods. Check. Live happily ever after. Here’s what no one talks about. Feeding kids is not always fun or easy. And not all kids respond the same way to the same strategies. There is a need to get real about expectations and what it really feels like to feed a family. Not a make-believe family but a real one. On episode 25 of the Healthy Family Podcast, we have on Sally Kuzemchak. She is a registered dietitian and creator of the popular blog Real Mom Nutrition, named Best Blog for Parents by Health magazine in 2015. Sally is the author of the new book 101 of the Healthiest Food for Kids. She is also an award-winning reporter and writer specializing in nutrition who currently blogs for Parents magazine and WebMD. Sally shares with us her stories, advice, challenges, and triumphs in the feeding realm. She also outlines best practices for introducing nutritious foods kids which is what her new book is all about.